This article from Straight.com generated a fair bit of discussion this week. Imagine, a rep from Microsoft telling teachers to use technology instead of pens and paper. Trying to sell product, anyone? I was introduced to this interesting ink-selling website, Ink by the Ml. They sell ink in 5ml increments. There’s a discount applied even if you only buy a small amount. And they have giveaways! This makes me wonder if schools will move to virtual classrooms some day-I mean think of the money that could be saved. How sad that would be though for the social aspect though. We already have virtual classrooms at the university level but like you I hope that doesn’t become a reality for the lower grades. Very sad. I have now inked up the green pen while I decide. Dilemmaz! You’re welcome! 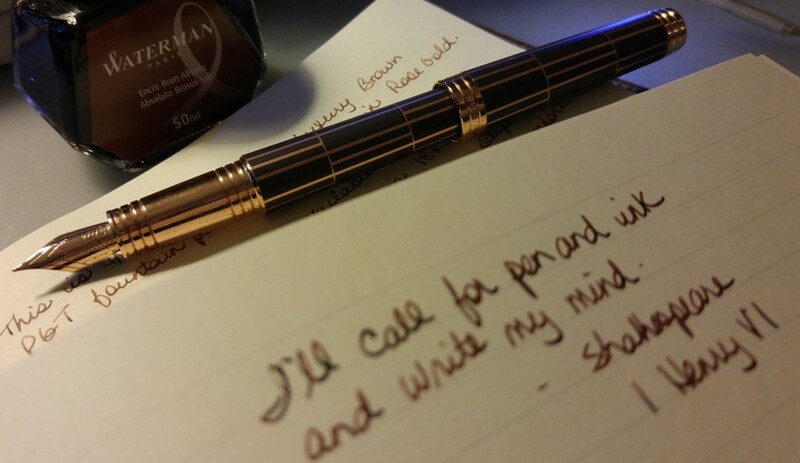 There’s nothing worse than writing with a pen that doesn’t thrill you. Good luck!